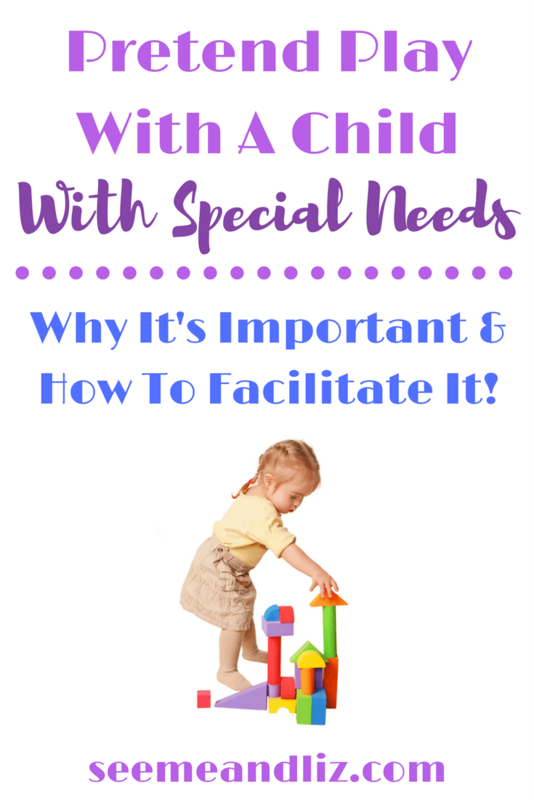 Having a child with special needs can be challenging. I do not have children with special needs or developmental delays, however I have about 10 years of work experience in this area. 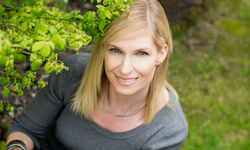 I have worked with many families whose children have special needs and I know that each child is an individual with unique personalities and learning styles, just like all of us. 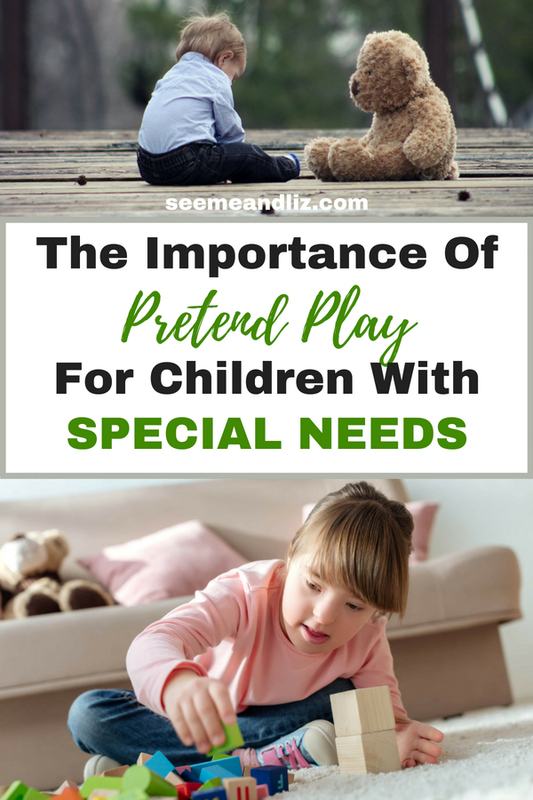 Pretend play skills are as important for a child with special needs to learn as they are for typically developing children. But, many children with special needs such as Autism or Down Syndrome will require more guidance and support in order to learn these skills. Studies have shown that young children with excellent play skills tend to have better language and academic skills as they get into the higher elementary grades (Grade 3 and up). This is also true for children with Autism and other special needs. Why Do Children With Special Needs Have More Difficulties With Playing? Many children with special needs tend to have a hard time with social skills. Children with Autism are a great example of this. 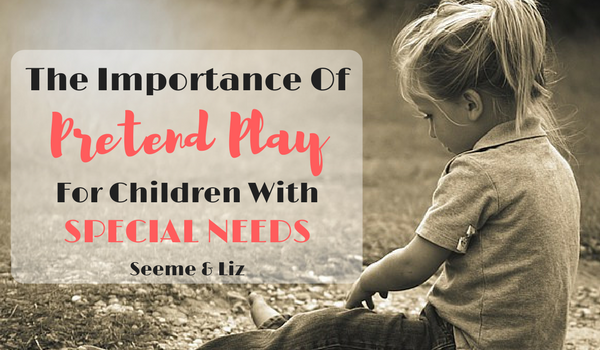 If your child has special needs and his social skills are affected, then learning to play will be a challenge as play is a social activity. Children with Autism and many other developmental disabilities tend to prefer solitary play. They also gravitate to activities that allow for repetitive movements. This is why you might see a child with special needs flapping her arms or playing with a toy the same way over and over again. As a result of preferring solitary play and repetitive movements, learning to play the way typical children play can be difficult. This is also why you will always see play based therapy sessions if your child is in therapy. If you are not familiar with the different stages of play, please read the article Importance of Pretend Play for more detailed information about each level. 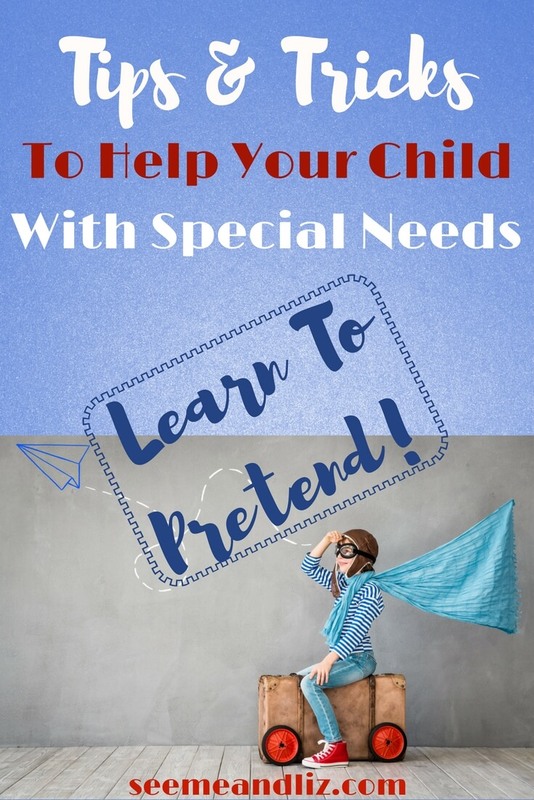 Assuming that you have a child with special needs, you are probably quite aware that it takes her longer to learn new skills than it does a typically developing child. So be patient when playing with your child. And don’t give up. Just because she may not be “getting it” now, doesn’t mean she never will. Repetition is the key to success for children with developmental disabilities. In fact, repetition is needed by all young children in order to learn new skills, including words! Stages of play can also be categorized by who the child plays and interacts with. Those stages are as follows: solitary, parallel, associative and cooperative. No matter what stage your child is at, using the techniques of imitating and expanding will be beneficial. Children with special needs typically engage in solitary play, often below the functional play level. 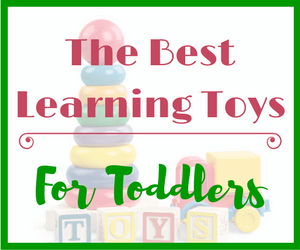 If your child is using toys as intended, he is at the functional play level (e.g. building a tower with blocks). However, if he is not using toys as intended he would not yet be at the level of functional play (e.g. banging blocks together or putting them in his mouth). Let’s say that your child is not using toys as intended. Your goal will be to help your child learn how to use that toy. 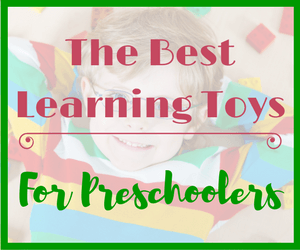 Blocks are a great learning toy no matter the age of your child. If your child is banging blocks together, you can imitate her action and then follow it up by showing her how to stack 2 blocks together. Make sure that you are narrating what you are doing. For example, “the blocks are loud -bang, bang, bang”, “look, I can put 2 blocks together, now it’s your turn”. See if your child will imitate you. It may take a while, so be patient. Follow these steps with any toy that your child is interested in. If your child is already using toys as expected, take it a step further. Let’s use feeding a doll as an example. If your child always puts a spoon to her doll’s mouth, imitate her while saying something like “the baby is hungry, I am giving her something to eat”. And then add to it and say “I think the baby is thirsty, let’s give her a drink”. Show your child how to use a cup to give the doll a drink. It can help to have your own doll so that your child can see what you are doing and then imitate it herself with her doll. Remember to stay at the level that your child is at and increase the demands only slightly. If your child is not yet functionally playing with toys, he won’t gain anything by you trying to engage in an elaborate pretend play scenario. This is another reason why I am not including ages in this article. If your child has special needs, you need to help your child based on what he can already do, not on what he should be doing based on his age. 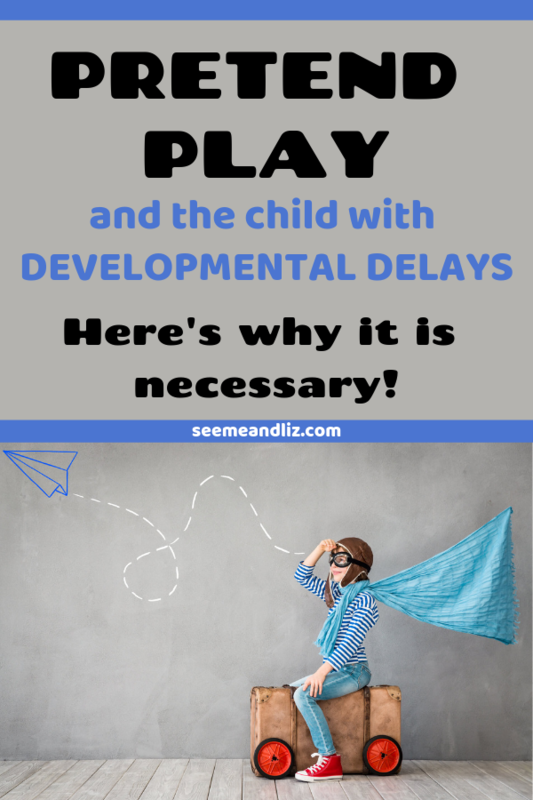 It will take a while for your child to start playing differently so be patient. You will have to play with her and show her how to play many times before she may do it on her own. If your child tolerates having you touch his hands, then take his hand with your hand over top and guide him to do the action. For example, if you are trying to get your child to give a doll a drink, put the cup in your child’s hand and then use your hand to guide his hand with the cup to the doll’s mouth. But, some children with special needs do not like being touched/guided and will pull back. If this happens then don’t force it. Keep modeling the play action for your child instead. If your child doesn’t pick up on what you have showed her, show her again. It may take many instances of seeing the same action before your child will do it herself. Show and tell your child exactly what you would like him to do. For example “get the cup and give the doll a drink”. Make sure you are pointing to the cup and the doll. You can also demonstrate the action to your child first. Then give him the instruction “get the cup and give the doll a drink”. Remember, keep the interactions as natural as possible. 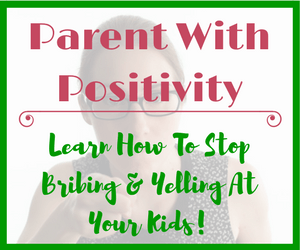 If you push to hard, your child will shut down and will no longer want to participate. If this does happen, move on to something else. 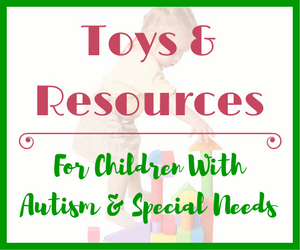 Do you have a child with special needs? What are some of your struggles when it come to playtime? If you have any questions or comments regarding pretend play with children with special needs please leave a comment below. 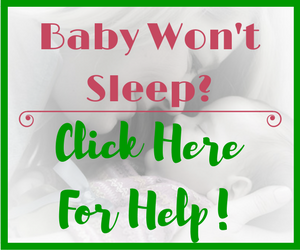 This post would be really helpful for those parents who have children who need special care and attention. Though I am yet to marry, one of my relative’s children is suffering from a sort of disease and they spend most of their time looking after him. I want them to go through this post. I am sure it will be very helpful to them. Thanks for taking the time to read this article to help your relative with their child. There are many other articles on this site that they may find helpful. I appreciate you sharing this information with them.